Perhaps one of the more surprising tankmates for African cichlids and other large fish, Synodontis Petricola are cute, shy, and good-natured. Easily one of the more attractive catfish in the hobby, the Synodontis Petricola is an excellent addition to a community aquarium. Their bright white and stark black colorations and earth tones make them a beautiful, eye-catching specimen. 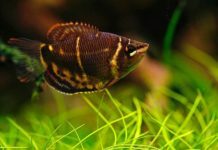 Keeping these fish is fairly simple, provided the aquarist can supply for the fish’s basic demands. Synodontis Petricola, also known as the Even-Spotted Petricola or Cuckoo Synodontis, hail from the northern region of Lake Tanganyika. 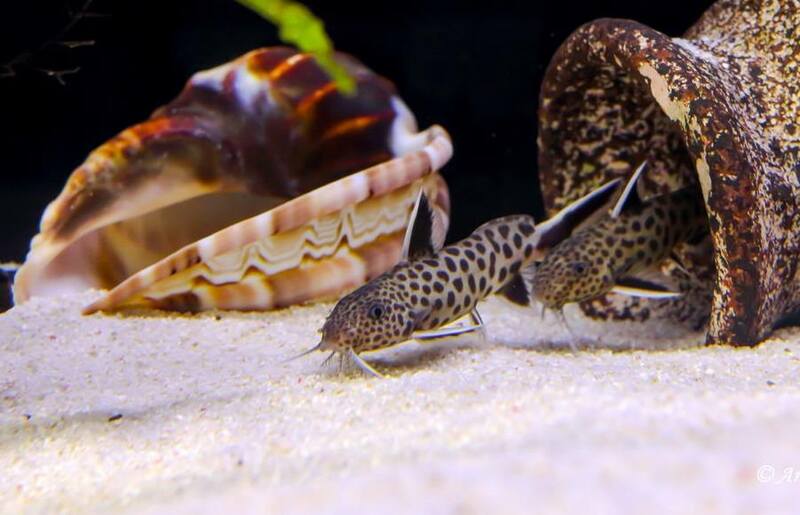 They are often confused with Synodontis Multipunctatis, which comes from the same African lake. 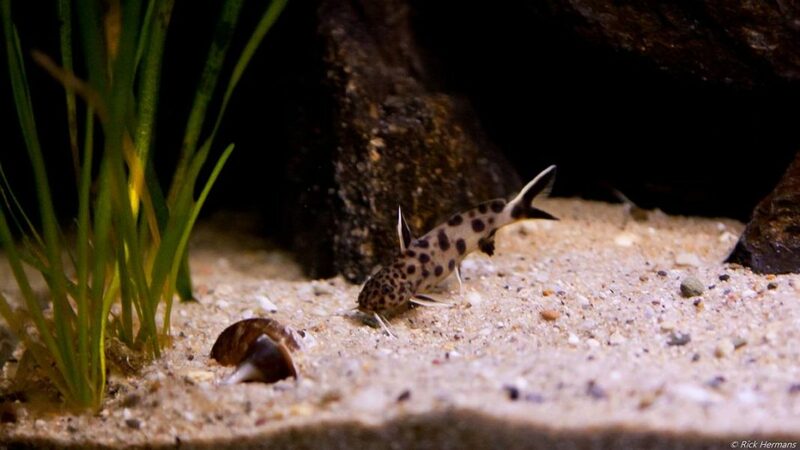 However, Synodontis Multipuncatis are also found throughout Lake Tanganyika and the surrounding rivers. Synodontis Petricola can also be distinguished by the white trim along their dorsal, pectoral, and caudal fins. 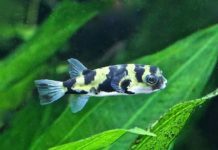 The dwarf Petricola is a slow-growing species of catfish, reaching a maximum length of about four inches. 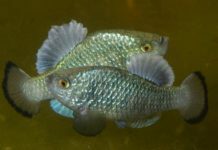 Since they are not readily bred in the hobby, prices for these fish tend to be high. 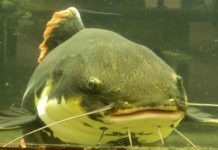 This catfish is a shy, reclusive, but active fish. They are primarily nocturnal but can be fairly active during the day as well. They will almost always emerge from hiding spots for feedings. Though small, Synodontis Petricola requires numerous hiding spaces. 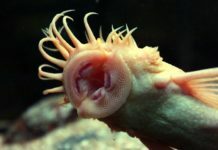 For this reason, Petricolas should be kept in a 20-gallon aquarium or larger. 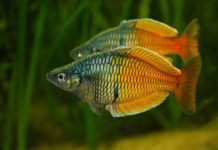 Breeding pairs can be housed by themselves in a 10-gallon aquarium. Originally being residents of Lake Tanganyika, these little catfish can be kept with larger, more aggressive fish such as African Cichlids. They should not be kept with very small fish as the Petricola may prey upon them. Like their African Cichlid counterparts, Synodontis Petricola prefers hard, slightly alkaline water. Water pH should remain stable between 7.5 and 8.2 with a hardness of 15-35 dGH. Water temperature should rest between 72 and 77 degrees Fahrenheit (22-25 degrees Centigrade). The Synodontis Petricola is omnivorous, eating meaty foods, packaged foods, and vegetable matter. The staple of their diet should consist of a high quality packaged food as well as a generous supplement of live foods. Live foods can consist of worms, shrimp, and even small fish. 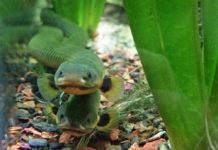 Small worms such as blackworms, tubifex/bloodworms, or pieces of earthworm are ideal. 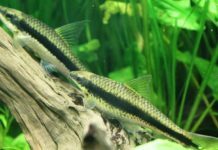 Since the Petricola catfish are relatively shy and tend to spend much of their time in hiding, it is possible that faster, more aggressive fish may eat the available food before the Petricola has a chance to grab a few bites. The best approach to alleviating this problem is to perform supplemental feedings at night (where the nocturnal Petricola will have an advantage), or target feeding and placing the food directly in front of the catfish. Source: Baensch, Hans; Riehl, Rudiger, ed. 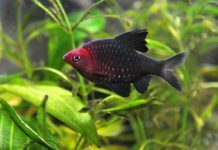 Aquarium Atlas. Volume 2.